We offer private Personal Training sessions. Personal Training Session using the Pilates Reformer, Trapeze Table, and other toys. Personal Training Session using physio-balls, resistance bands, and ballet barre. In your home, using our stuff. Stephanie Chronopoulos is a native New Yorker. She graduated from Long Island University – Brooklyn in 2014 with a B.S. in Dance, fulfilling her academic requirements for entry into physical therapy school. Stephanie has been performing professionally with a variety of dance companies and choreographers; Khaleah London Layers, Jennifer Muller/The Works, Ronald K. Brown Evidence, Sidra Bell, Frederick Earl Mosley, and Forces of Nature Dance Theater. Stephanie uses an intensive and detailed approached with personal training and incorporates the Pilates Reformer and Trapeze Table in her sessions. Her expert and artistic eye enables her clients to reach their personal goals successfully and safely. She received her Pilates training from Sal Anthony’s Movement Salon in 2014, is also Zumba certified, and will soon be a Certified Personal Trainer. 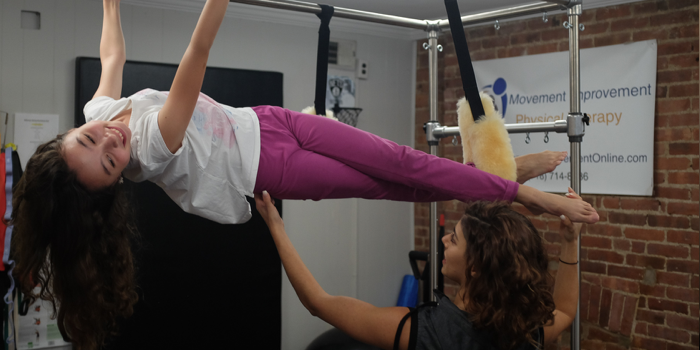 Stephanie is a founding member of Movement Improvement – Physical Therapy. She is the Chief Operating Officer and Director of Personal Training. 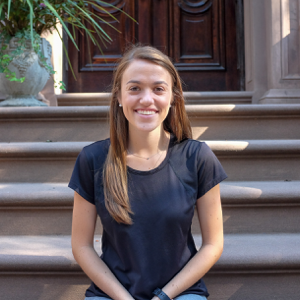 Paige Seavey is a recent college graduate from Syracuse University where she majored in Health and Exercise Science on a pre-Physical Therapy track. She has worked at Movement Improvement Physical Therapy since June 2017. Bridging the gap between undergraduate and graduate school, she has decided to immerse herself in the field of rehabilitation to help educate her clients towards safe exercise. Paige has a solid foundation for many different fitness needs, covering an extensive range of ages, as well as many sports. She has a strong background in soccer, lacrosse, skiing, track, swimming, golf, and tennis. Her goal with all clients is to design an exercise program that is safe, simple, and successful. Her future goals are to gain more knowledge and experience in the Physical Therapy field, as well as to grow and expand in the Personal Training field. Paige continues to expand her knowledge of Pilates-based exercise for rehabilitation while pursuing her medical studies. Joaquin Gamboa moved to New York City from the Philippines in 2012. He has always been an active person that enjoys the outdoors and swimming. He began to challenge himself in the gym as a bodybuilder and became a fitness enthusiast. Joaquin’s fascination with the movement of the human body has led him to pursue his studies at Hunter College where he is a human biology major as a pre-requisite for physical therapy school. Joaquin is a certified personal trainer and believes that fitness is the energy that allows people to live a comfortable life. Looking good is aesthetically pleasing and often inspiring, but being able to feel strong and stable and be able to move well without any fear is what Joaquin helps his clients achieve. 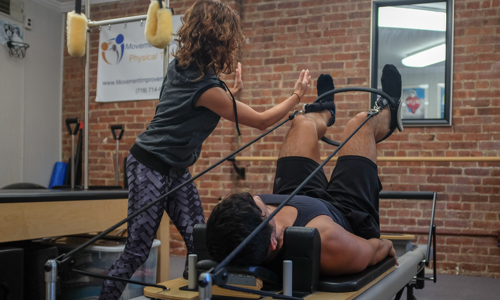 Joaquin approaches training by building from the ground up, incorporating basic functional moves to stabilize and improve neuromuscular efficiency and progressing to complex moves that challenge the individual to meet their physical goals.